Air Canada flight ACA261 operated with an Airbus A319-112 (registration C-GJTC, serial number 1668), was landing at Winnipeg International Airport, in darkness, at 1835 central standard time. An instrument landing system approach to Runway 13 was flown using the autopilot. At approximately 80 feet above ground level, the captain of Air Canada flight ACA261 disengaged the autopilot and manually completed the approach and landing. The aircraft touched down firmly approximately 1600 feet from the runway threshold and well left of the runway centerline. During the rollout, the left landing gear tracked briefly outside of the runway edge lights on the left side of the runway. Two of the runway edge lights were broken. One tire of the left wheel set sustained a cut and was replaced. There was no other damage to the aircraft, and there were no physical injuries. wind 180° true (T) at 8 knots gusting to 15 knots; vertical visibility 100 feet; visibility ⅜ statute mile (sm); runway visual range (RVR) for Runway 13 in the 10 minutes before the observed weather was variable with 3500 feet minimum and 6000 feet maximum; temperature and dew point –1°C; precipitation freezing fog; fog eight oktas. 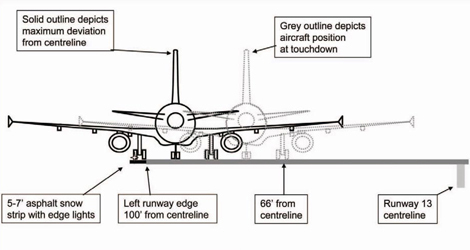 A crew that had landed about three minutes after Air Canada flight ACA261 indicated that the weather was essentially as reported by the ATIS and that the runway end and edge lights provided sufficient reference for a landing at minimums. The sequenced lights along the approach path were visible on approach but disappeared temporarily as the aircraft descended through a fog layer, from 500 to 400 feet above ground level (agl). To avoid reflection from the freezing fog particles, the crew of this aircraft did not use landing lights. The captain aligned the aircraft with the runway without compensating for crosswind, allowing the aircraft to drift off centerline. 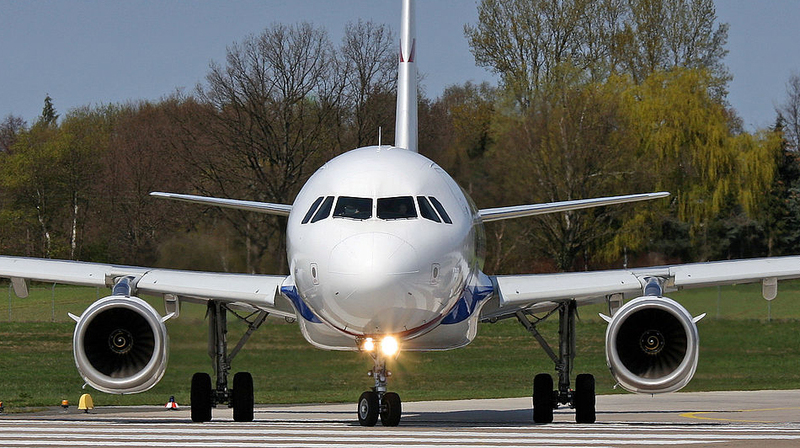 After touchdown, the aircraft’s left landing gear tracked off the runway. It is likely that one or more of the effects of the vision correction used by the pilot flying interfered with his ability to effectively use the visual references available to land. 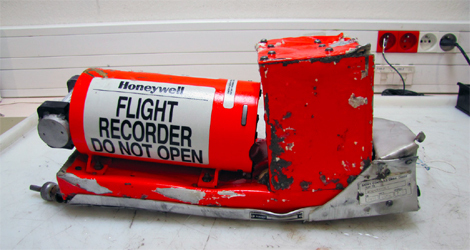 Other Finding : The cockpit voice recorder (CVR) was not disabled following the occurrence and the data were overwritten. Consequently, CVR information relevant to the occurrence was not available to TSB investigators.